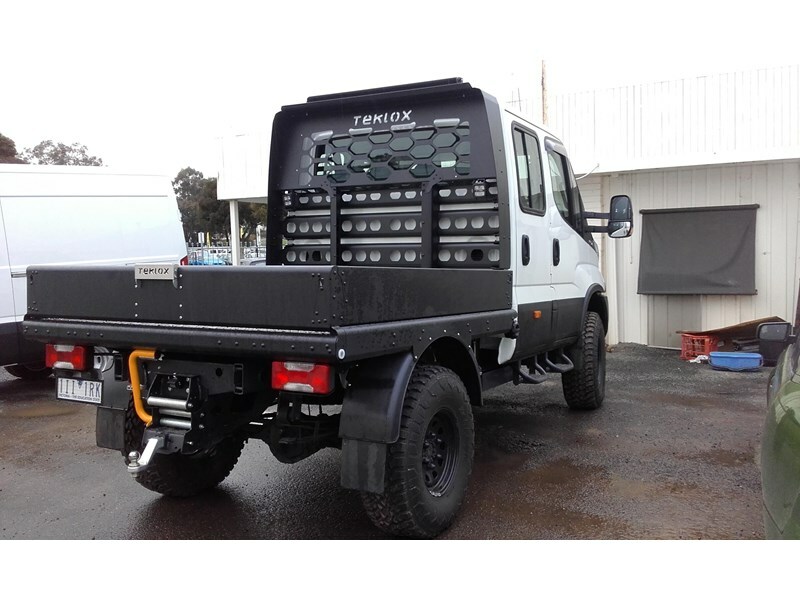 The Daily 4x4 is a purpose-built off road, light commercial truck which features front, centre and rear differential locks and ultra low gearing straight from the factory - it is one of the most capable light duty trucks available in Australia. 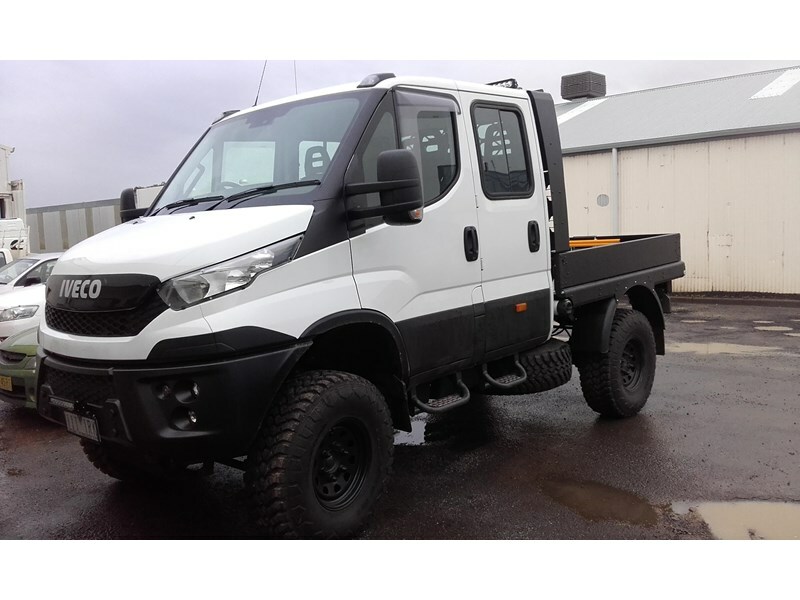 The vehicle is available with GVMs of 4495 kg (can be driven on a car licence) and 5.5 tonnes; all models feature a braked towing capacity of up to 3.5 tonnes and are available as either a single cab or dual cab chassis. 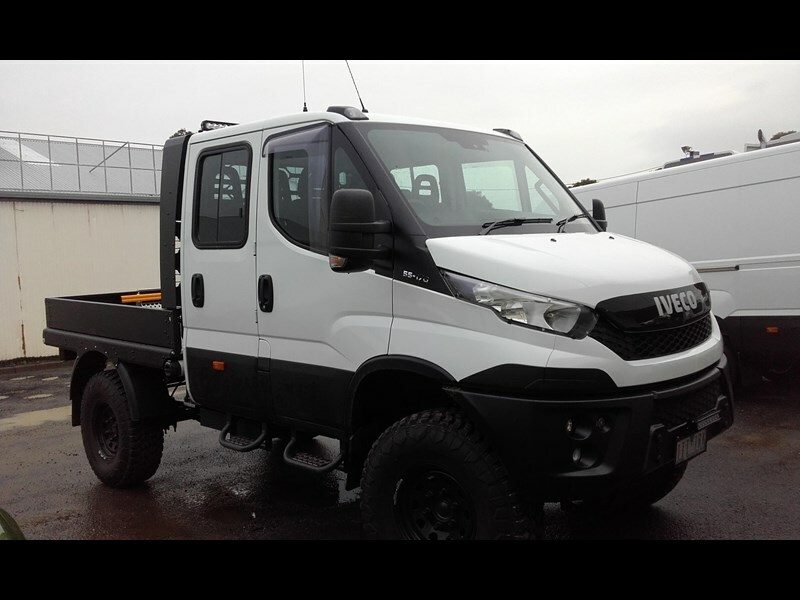 Muddy tracks, rough ground, steep slopes and slippery roads are no obstacle for the Daily 4x4, which is designed to do the toughest jobs under the harshest conditions.